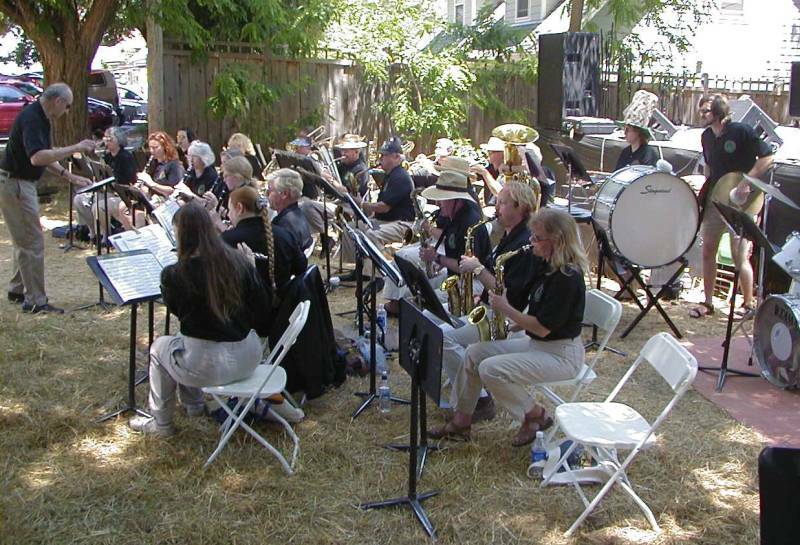 Founded by retired high school band director Jon Christian, this community band rehearses weekly at the high school in Felton, CA, (near Santa Cruz) and performs at various venues around the area several times a year. Yvonne and Norman started playing in the ensemble in 2000 with Yvonne on second trombone and Norm on bass trombone. Both tended to move around, though, depending on the needs of the group. 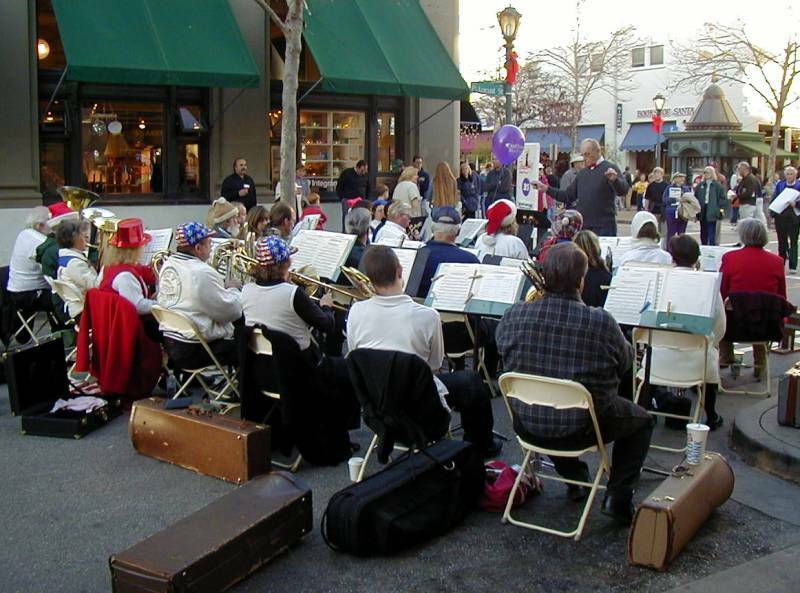 In performance at Santa Cruz's "First Night" celebration on December 31, 2000, Norman is on French horn and bass trombone sitting next to Yvonne playing tenor trombone (both with matching "stars and stripes" hats). This time the SLVCB is performing at the Boulder Creek Art and Wine Festival on May 28, 2001. Norman is on French horn sitting beside the euphonium and Yvonne is in the percussion section (with the very tall hat).